Location Location Location! All brick exterior, 2nd floor unit at The Boxwood at Baymeadows. 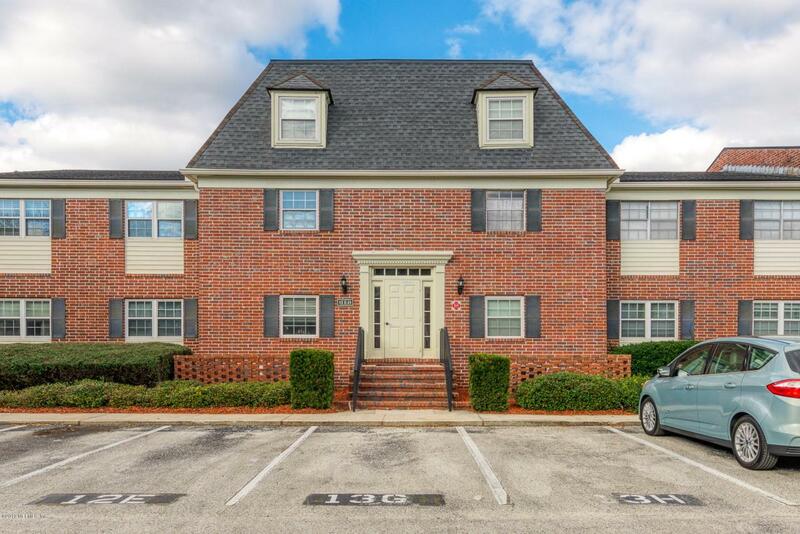 Very well maintained and large 3 Bedroom 2 Bath condo offers spacious living and dining rooms, generously sized master suite and 2 other bedrooms, all have walk-in closets. Separate kitchen with stainless steel appliances and laundry closet. Wood laminate floors in Dining and entry, ceramic tile in kitchen, over 1400 sq. ft, large balcony, lots of storage space and closets. Balcony overlooks private road. New Windows. Enjoy no exterior maintenance and great amenities. Very close proximity to downtown, the St. Johns Town Center and the beaches. Condo can not be purchased as a potential investment property. Max rental capacity is met. Listing courtesy of Eagles World Realty, Inc.
© 2019 Northeast Florida Multiple Listing Service, Inc. All rights reserved. The data relating to real estate for sale on this web site comes in part from the Internet Data Exchange (IDX) program of the Northeast Florida Multiple Listing Service, Inc. Real estate listings held by brokerage firms other than Florida Homes Realty & Mortgage are marked with the listing broker’s name and detailed information about such listings includes the name of the listing brokers. Data provided is deemed reliable but is not guaranteed. Data last updated 2019-04-23T10:28:00.943. © 2019 St. Augustine & St. Johns County Board of Realtors. IDX information is provided exclusively for consumers' personal, non-commercial use and may not be used for any purpose other than to identify prospective properties consumers may be interested in purchasing. Information is believed to be accurate but not guaranteed by the MLS or Florida Homes Realty & Mortgage. Data last updated 2019-04-23T10:30:46.547.